What is the Biggest Casino in Guyana? - Casino Answers! Casino Answers » Casino Trivia » What is the Biggest Casino in Guyana? What is the Biggest Casino in Guyana? Guyana, although listed as a Caribbean country, can be found on the northern coast of South America. That’s right, in the north of South American, and it’s technically considered part of the Caribbean. Confused? Well, don’t be, as it’s not really that important. All you need to know is that it’s on the northern coast of South America and that gambling is legal in Guyana. It is the fourth smallest country on the continent with an eclectic population of almost 750,000. What is also interesting about Guyana is that unlike the rest of its South American counterparts, the official language of the country is English, which mean it is popular with tourists from the United States. Guyana is bordered by Venezuela and Surinam. Now, although gambling is legal in Guyana, there is only one casino in the country, which, given the population and distribution of wealth, isn’t the most unexpected thing in the world. And as you would expect, the largest casino in Guyana can be found in the capital city, Georgetown, which has a population of just over 235,000, making it the ideal place in the country to have the only casino. So, what is the largest casino in Guyana? That would be the Princess Hotel and Casino, which can be found in Providence, East Bank Demerara. Given that the Princess Hotel and Casino is the only player in town when it comes to gambling, you might expect that it doesn’t have to try too hard when it comes to getting people through its doors. 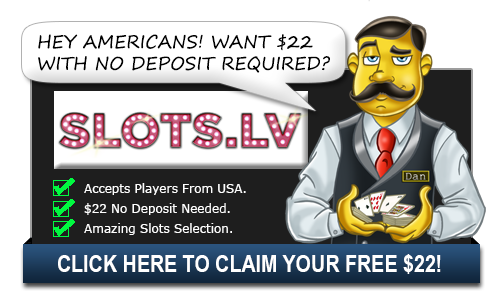 However, in the casino itself, there are over 250 slot machines for players to choose from. I mean, that’s one for every 1,000 people in the city – that’s pretty impressive! As well as the slot machines, both the traditional and modern, interactive variety, there is also a selection of table games to keep you entertained. As you would expect the traditional casino games are offered at Princess Hotel and Casino – blackjack, roulette – as well as three-card poker and stud poker. So the biggest casino in Guyana promises you a fun night out with a decent selection of games to keep your entertained. And if you’re a high-roller, the Princess Hotel and Casino will cater for you, too. If you want to make a wager on a sporting event, Princess Bet, which is located on-site, will allow you to place a bet, albeit it a small one on most sporting events. But what else does the Princess Hotel and Casino offer patrons? Well, if you want to take a break from playing on the slot machines or on the tables, you can eat the Princess Royal restaurant, which sits poolside and offers a diverse menu and wine selection of the high standard you would imagine. And if you find yourself staying in one of the Princess Hotel and Casinos 191 rooms, you can indulge yourself at the Healing Waters spa, or use the gym, tennis court, basketball court, volleyball court, football pitch or badminton court. However, the main attraction for the guests, apart from the casino, is the largest swimming pool in the entire country. And if you find yourself at a loose end of an evening, maybe you’ve tired of the betting, you can head to Club Next, a state-of-the-art nightclub located in the Princess Hotel and Casino, where you can dance the night away after all that fun in the casino.